Below are some of my tips for entering writing competitions, Jane Wenham-Jones has some of her own, and the SWFA has their own ‘writer beware’. Competitions are a great inspiration and not only get me writing something new (certainly for the themed ones) but even if I don’t get anywhere, I still have the story to do something else with, like submitting to women’s magazines here in the UK (although it’s more advisable to write specifically for their markets) or self-publishing to add to my collection of eBooks. You will never know how the judge will feel when he / she reads your story. He / she could be going through an acrimonious divorce and your divorce story is a painful reminder. I know, judges shouldn’t be personally involved in your writing but that’s the thing with fiction (and non-fiction of course); readers get emotionally involved – you should want them to, and if they do, it means your story ‘works’. You will never know whom you’re up against. Yours could be a fantastic story – the best of twenty about unrequited love – but that’s it, it’s one of many on the same theme. It would have more chance of the judge seeing it if it’s the best but it’s the story about a pink tutu-wearing green alien they remember. I’m not saying to write something so way out that you run the risk of… erm, alienating the non-science-fiction-loving judge, but your story needs to ‘pop’. If you’re going to pick a well-worn theme – it is said, after all, that there are only seven plots – you need to find a new angle. The most important thing? Read the guidelines. I can’t stress that enough. If they want a maximum of 2,000 words, don’t send them 3,000 or even 2,010 (or a 45-line poem when they only want 40). I’ve just finished judging the first ever NLG Flash Fiction Competition and had to disqualify one story because it was 610 words (max 500). We have Word, so we have a word counter – it’s easy to check and catch you out. Your story may be the best thing since sliced granary but no one will know because they won’t get to read it. I didn’t read the 610-word story, although I might go back out of curiosity. Another usual pre-requisite is to not send a story (or poem) that has been published (online counts as published) or won / shortlisted in another competition. Another NLG story was disqualified because the author notified us saying he / she had submitted the story in error because it had gained second place in another competition. Ironically, it was also my second-place, so my third became second and another story became my third, and eleventh now highly commended. I don’t know who submitted the story (because I’m Head Judge – only our Secretary knows so it’s fair) but editors and judges remember those authors who do such things, so don’t. Keep a list. File your story in a particular folder. Be organised. Another must is spell and grammar check. It sounds obvious but I spotted a ‘tine’ instead of ‘time’ in one piece and it lost a point because it was a careless error. Unless you’re writing a new story the day before the deadline, give yourself plenty of notice. Write the piece at least a week (the earlier the better) before you have to send it in, leave it for a day (preferably more) then edit it. Read your story out loud – it will sound different to how it sounds in your head and you will spot errors easier (especially if it’s been a while since you wrote / read it last). Don’t leave it until the last minute. It’s very tempting to send in your story the day the competition ends just in case you want to make any last minute alterations, or so the judge might remember it coming in, but the organisers appreciate it if you’re early. It makes their job easier, as they can send the stories out to the judge/s in batches rather than in one go. If the competition has a theme, stick to it. If they want a story set in the London Underground, don’t think you’re being clever by setting it in the Paris Metro or New York Subway, unless you’ve come from / are going to the London Underground. Last year’s H.E. Bates competition had (for the first time in its 20-year+ history) a theme; ‘A Walk at Midnight’, and we had a couple of stories which didn’t include a walk or set, at any point in the story, at midnight. Choose a snappy title. Don’t be lazy and call it The Journey (a title of an old story of mine which I’ve since renamed No White Left). You can certainly use it as a working title but then a phrase might leap out at you when you’re writing it. 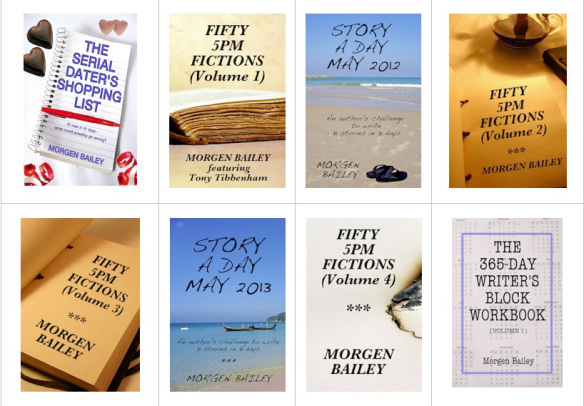 I write a short story a day for my blog’s 5pm Fiction slot and it’s often what happens to me. Research your judge. If he or she writes romance, the chances are s/he’d favour a love story over a slasher horror. If it’s the best thing they’ve ever read then you could still do well but again you’re running a risk. With most competitions, the Head Judge (the name advertised) will only see a selection of the stories, so even if you write to their taste, if the competition panel (often a writing group) don’t like it then it will never reach Mr / Mrs Famous Writer. ‘Named’ judges’ time costs money and most competitions can’t afford to pay a famous (or even semi-famous) author to sift through hundreds of entries. So you want to make your story (or poem) as good as it can be to get through all those people and make the last one go “wow”. You never know it could even be me.